Rachel has started an initiative called "Changing the Narrative", and she's spoken to young athletes at schools like Clemson, Alabama, Oregon and most recently, Tennessee. "Really we talk about purpose, passion, platform," said Baribeau. How do you view women and how do you treat women. And, in the past two years in 31 schools, we've added stuff about masculinity and about how it's actually wonderfully masculine and strong to admit that you're struggling with something. "You talk about stereotypes and how they are being stereotyped, how do they feel marginalized. They tell me they feel people call them stupid, entitled, dumb, spoiled, selfish and so we talk about how we challenge those stereotypes." Baribeau originally intended to visit high schools, but an opportunity opened for her to speak at Texas A&M, and the movement quickly spread. Now, it's her mission to train athletes to go into high schools so they too can serve. "A little small idea that I had, God turned it into something bigger than I could have ever imagined." 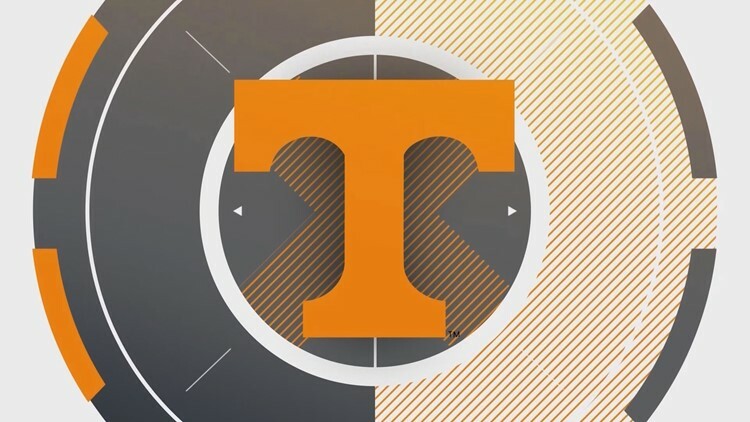 The University of Tennessee has already invited Baribeau back to speak to some of the women's programs and to work more with the football team. "There's a lot of guys there that said yes, I want you to teach me public speaking, I want to go into area high schools, I want to go into my high school at home. I want to take this platform and something with it." "I had this guy last night stand in front of me and I'll forever remember it. He had tears in his eyes and I had tears in my eyes and he said, Miss Rachel, where I come from, nobody has ever told me that I have worth outside of football. Nobody's every really told me that I can be something beyond a football player. He said Thank you for reminding me that I have worth outside of what I do on the football field. That one got me." You can find more information on Rachel, her platform and ways to donate here.